Happy Mother’s Day to all the mommas out there! 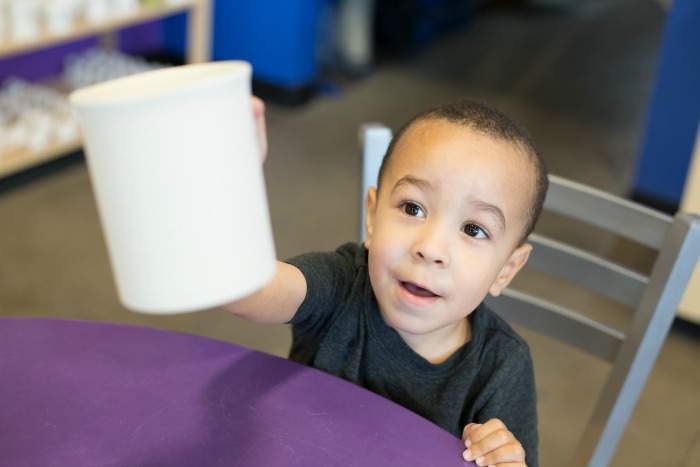 Kimberly from West Valley Moms Blog here with you again, sharing a fun As You Wish project. This month we’re switching it up a little, you know with it being Mother’s Day and all. 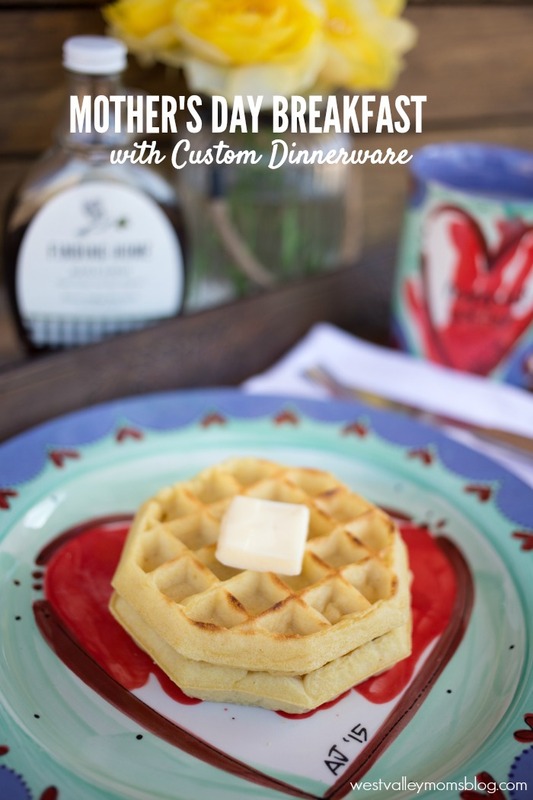 If you’ve been following along, you’ve likely seen so many gift ideas that are perfect for Mother’s and Father’s Day that you can make right here at As You Wish! The ideas are really endless. But today we’re mixing it up just a tad to tell you about the amazing opportunity As You Wish offers for CUSTOM painted pieces by their very own artist Liz! 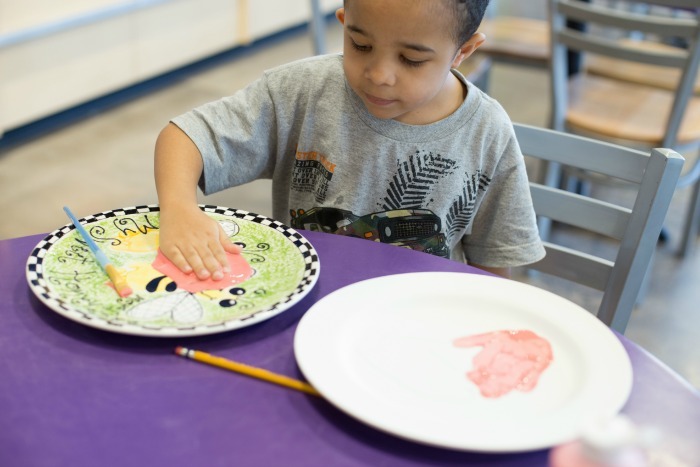 She’s truly amazing and this time around we commissioned Liz to take our boys’ handprints and turn them into Custom Dinnerware for a very special Mother’s Day Breakfast! The boys and I headed in for a quick trip to As You Wish. They picked out a coffee mug and plate for momma (me)! Then we got busy adding their handprints. 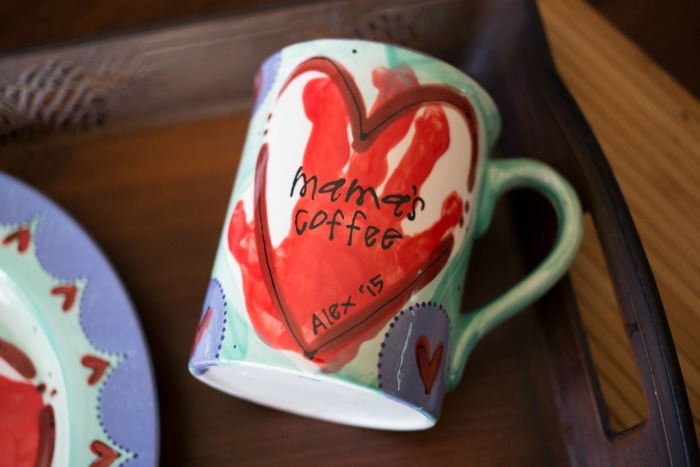 My big boy added his handprints in the shape of a heart to the plate and my little guy added his special little handprint to my coffee mug. I was already excited! Once we were done, we simply handed in our goodies to the gals up front. 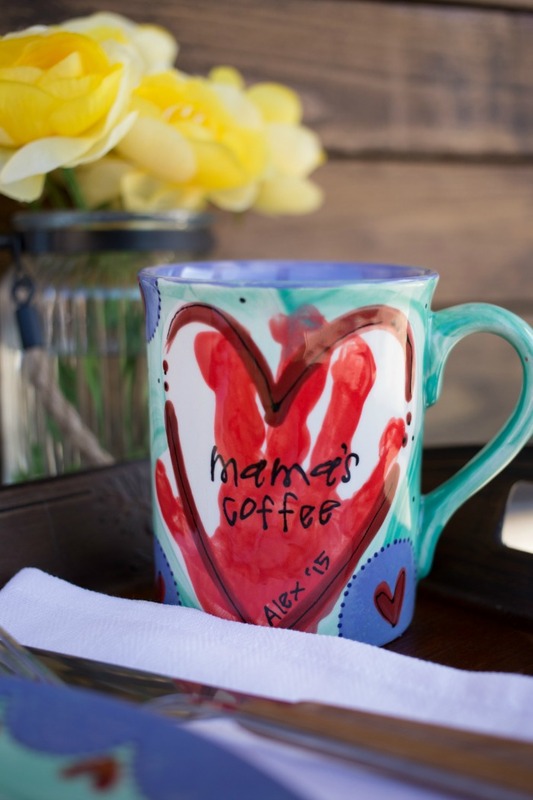 Our items were then CUSTOM painted by Liz, fired up and ready for us to pick up. And the results? Beyond amazing! 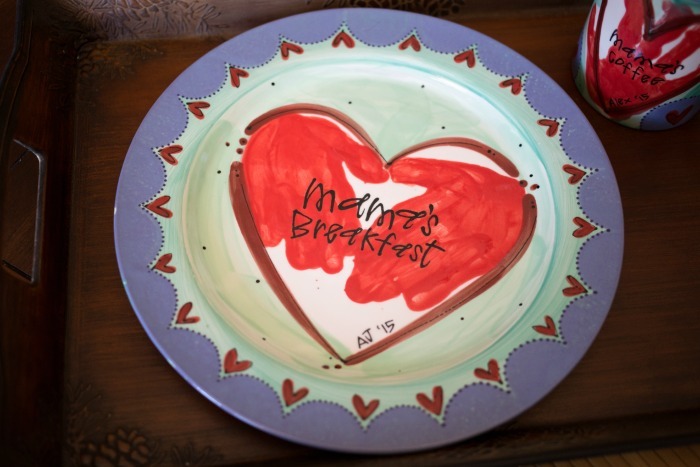 I picked up the most beautiful Mother’s Day breakfast plate and coffee mug I have ever seen. And the best part? My babies’ handprints were incorporated, with their names and dates added. Such an amazing keepsake that we will use for years to come! So what am I doing today on this beautiful Mother’s Day? 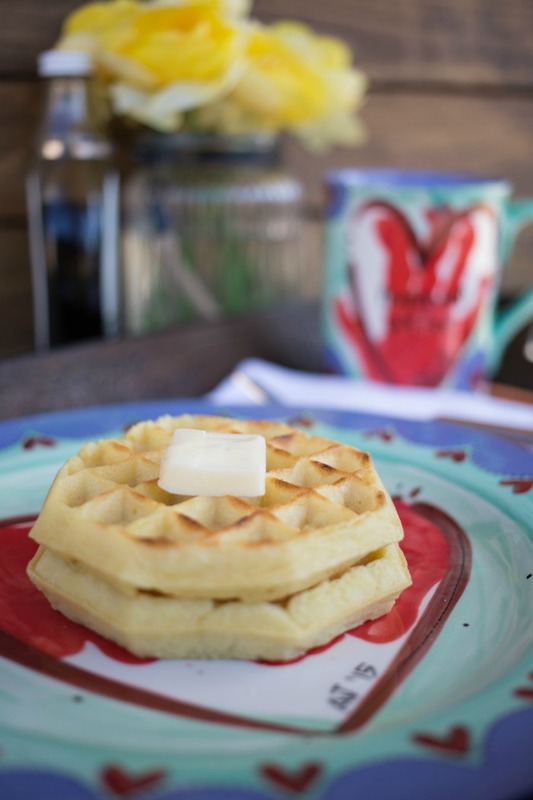 I’m enjoying breakfast made by my boys (Eggo waffles, of course), on my gorgeous new sentimental CUSTOM painted dinnerware from As You Wish! Now tell me, how special is this?! So if you’re looking to have sentimental pieces created for your special occassion (hint: like Father’s Day coming up), head down to As You Wish ASAP! 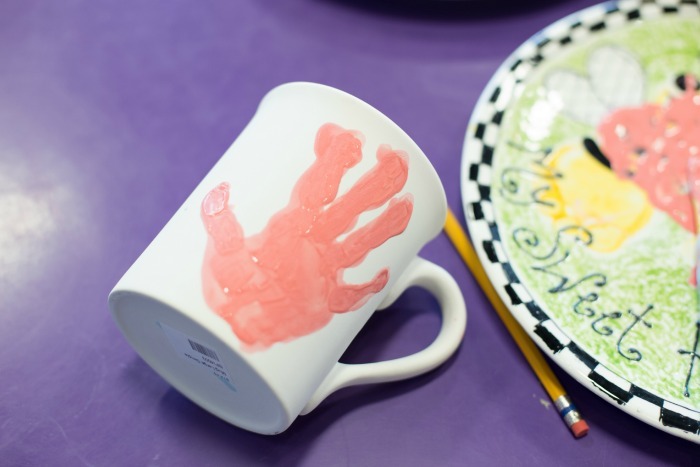 Get your kids handprints on your favorite pieces or whatever you can dream up and let Liz take care of the rest! I guarantee you will be FLOORED by the results! I know I am. Well, I’ll let you get back to the rest of your Mother’s Day! I hope your day is truly blessed!